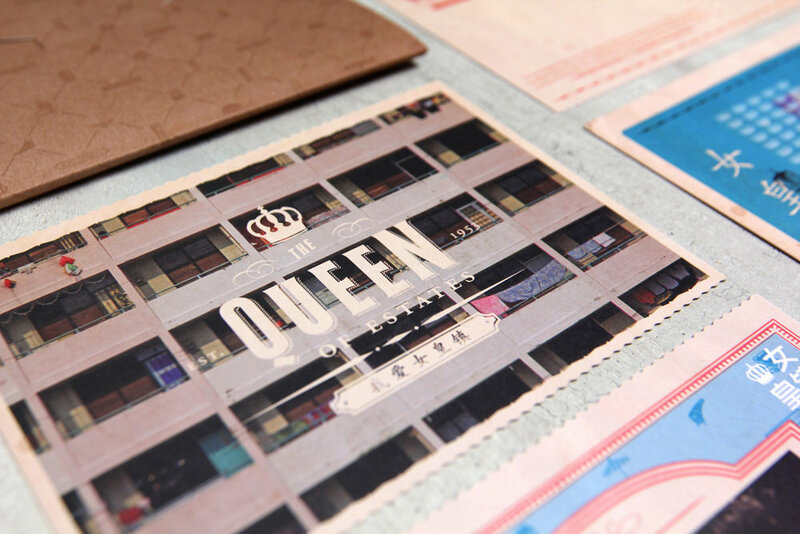 To celebrate the 60th anniversary of Singapore’s first satellite town and also the Queen of Estates in the nation, a series of postcards were designed as memorabilia. Handed out as souvenirs at the opening event that kickstarted a year-long celebration, the postcards depict scenes and landmarks from a bygone era during the early days of the town’s beginnings. Juxtaposed against these quaint and vintage backdrops are the various graphic icons and typography that draw inspiration from old signage and architecture found around town. The postcards have also been diecut around the edges to resemble old photographs, and contain an info snippet on the back relating to the image on the postcard.